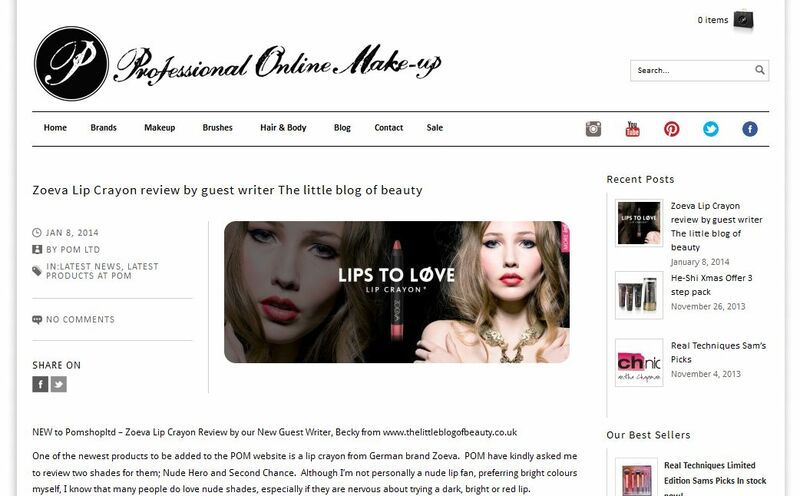 I just wanted to write a quick post to let you know that yesterday I guest posted over on the blog for cosmetics website Professional Online Make-up. My guest post was a review of a new lip crayon from German brand Zoeva. I'd love if you'd head over to have a read of my guest post and let me know what you think.